Are you looking for more than just the basics of nutrients when it comes to your everyday meal? 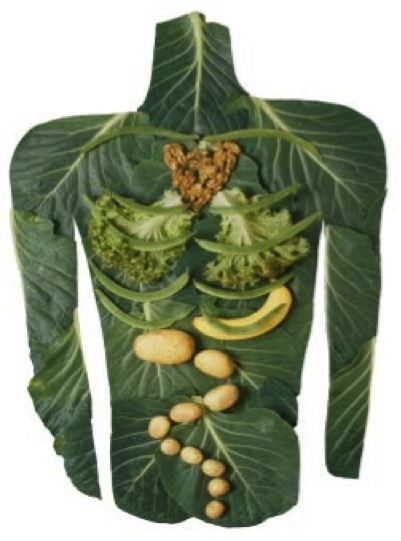 Food & Spirit™ takes nutrition into the realm of “complete” nourishment through the Seven Systems of Health. 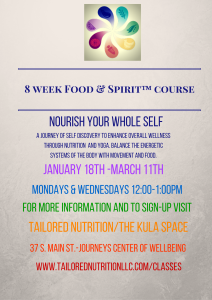 Join our program and experience a full-spectrum approach to your whole self! Sign Up On-Line Here, or call 307-675-1865. Class times can vary to fit your schedule. $70.00 for full 8 weeks, or $10.00 a session. Learn How to ‘Detox’ Safely and Appropriately, Using Your Bodies Natural Detox Systems and Nutrition. What it includes: 1 hour one-on-one appointment, Detox booklet, Recipes,Meal Plan, and Supplement Guidance.